Krylon® ColorMaster™ Paint + Primer can make any space an inviting place to hang. Using an all-purpose cleaner, thoroughly clean the swing to remove dirt and debris; rinse thoroughly with water and allow to dry. 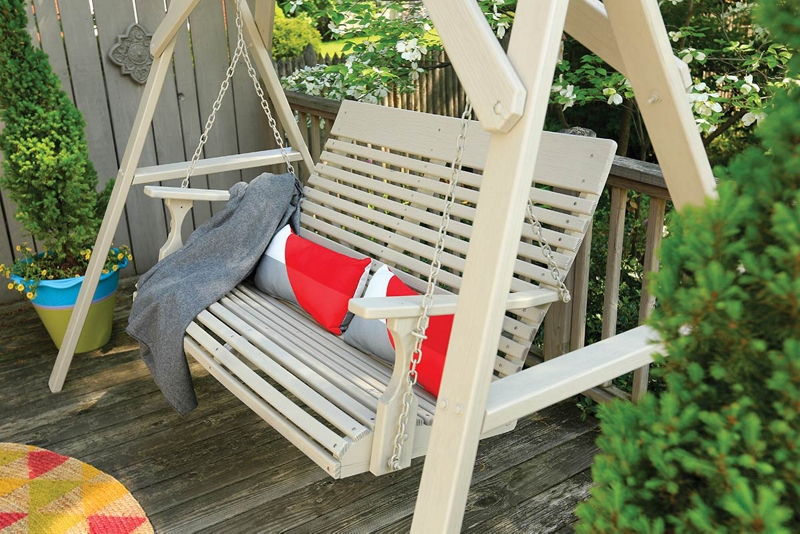 Use Krylon® ColorMaster™ Primer to seal up any cracks in the swing and create an even painting surface. Applying in a well-ventilated area, hold the can of primer 6-8 inches from the surface and spray using a sweeping side-to-side motion with slight overlap. Using Krylon® ColorMaster™ Paint + Primer - Gloss Pewter Gray, hold the can 6-8 inches from the surface and spray using a sweeping side-to-side motion with slight overlap.